UtahRoots : Day 4 of Holiday Cheer! During the holiday, I hope you'll take time to relax. But when you start thinking about lesson planning consider this: Students of all ages are engaged by novel activities they haven't done often. And even secondary students enjoy coloring. I'm going to make it easy for you to create a color-by-number activity for your next unit. It really doesn't matter what the unit is. If you can create multiple choices quiz questions for the unit, then you can create a color-by-number activity instead! I've done the hard part for you. I've created the images and inserted editable text boxes into the sections of the picture. You will need the PowerPoint application. All you have to do is write questions and link the correct answer to the correct color. Complete instructions are included with each of my editable color-by-number templates. 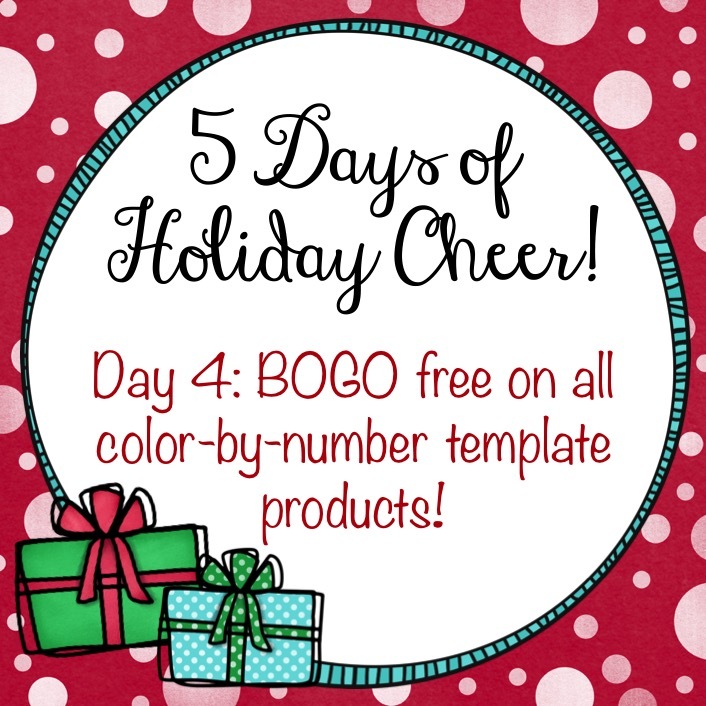 Today only: Purchase one of my color-by-number editable templates from this list. Then, email me a copy of your TpT receipt to utahrootstpt@gmail.com - along with your request for a free template. This offer is good ONLY on marked editable color-by-number templates from the list below. It does not apply to non-editable products in which I have used my own color-by-number images. It does not apply to any bundle of color-by-number products.